Flip a coin 3 times. If one head, the opponent is burned. If 2 heads, the opponent is asleep forever. If heads all three times, the Defending Pokemon automatically dies. Discard all energy cards attached to Antonio and the opponent's turn is skipped. 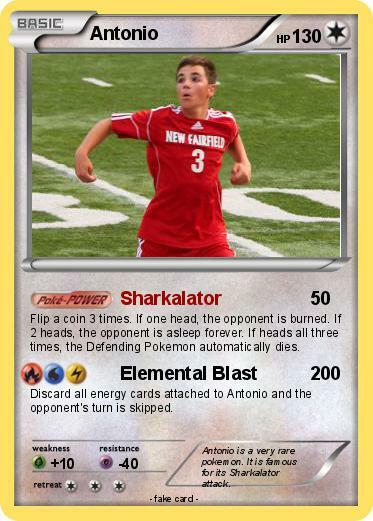 Comments : Antonio is a very rare pokemon. It is famous for its Sharkalator attack.